Comparing to Magento Go Shopify is very easy to use. So, you will have more time for selling and taking care for your clients. Shopify offers more free themes (16), than Magento Go (11). When you go to their adoption of template, Shopify is still in favour. It is really easy to make your Shopify store look bright and attractive since shopping cart does not require any HTML and CSS knowledge. Their simple layout editor can guide you through this process. At the same time, Magento customization requires skilled and experienced developers and designers, who are specifically trained in Magento. Shopify posses about 140 add-ons in its app store, and it is more than Magento Go does. Moreover, the installation and management of the applications of Shopify is easier. Do you understand now the advantages of Shopify over Magento Go? That is why, here is a prezi for you that shows detailed instruction how to perform the migration from Magento Go to Shopify. 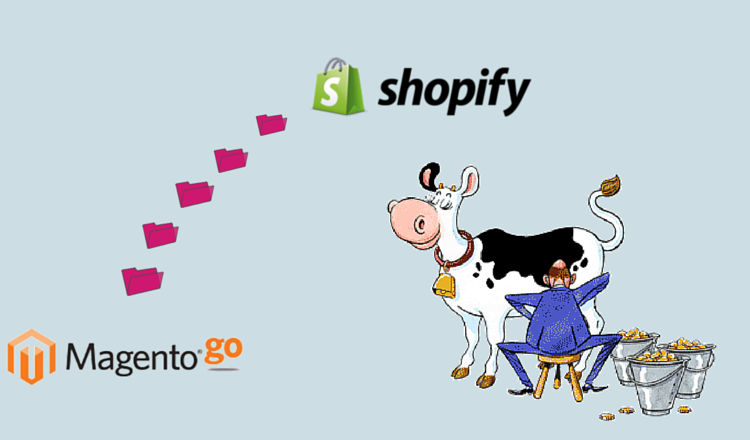 So, don’t waste your time, migrate from Magento Go to Shopify right away and become a part of Shopify team.